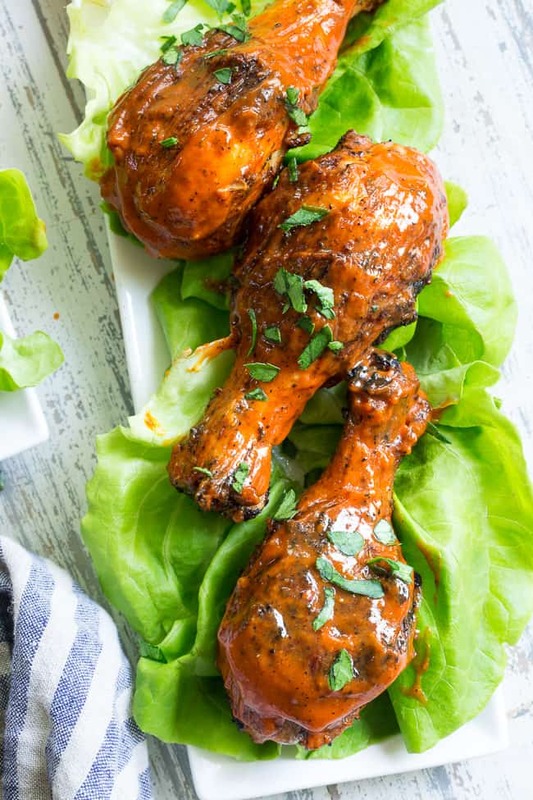 These spicy chicken drumsticks are perfectly seasoned, grilled, and tossed in a spicy, flavor-packed sauce! Perfect for grilling season (or anytime of year!) family friendly, gluten-free, Paleo and Whole30 compliant. 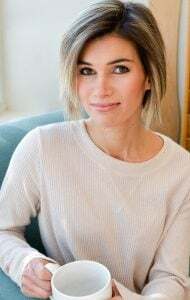 I was never really a bone-in chicken kinda gal – mainly because I felt like they were messy to eat, PLUS I found it frustrating to try to get all the meat off the bone. Silly frustrations leftover from childhood they are, actually, and I’m way over it now! 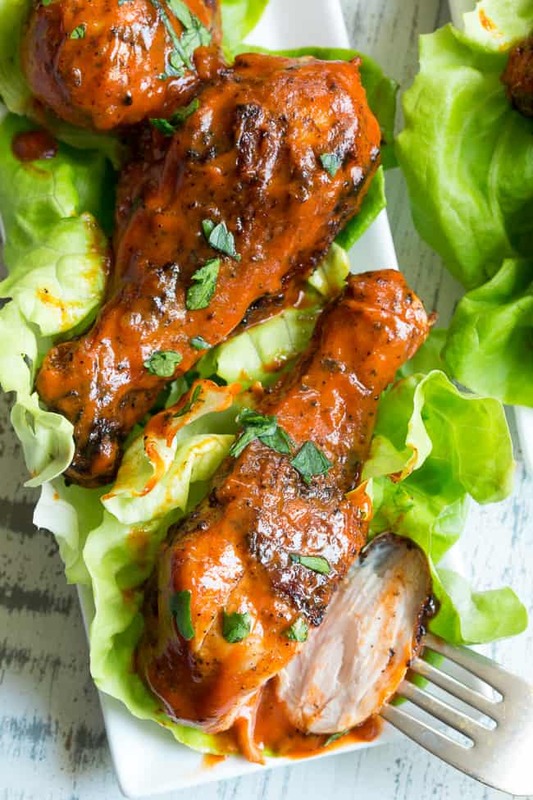 Bone-in-skin-on-chicken is where the flavor is AT, and, my current obsession is this recipe: saucy, spicy, Whole30 compliant grilled chicken drumsticks. 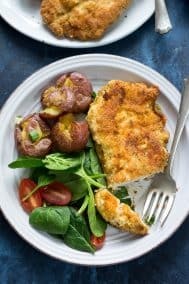 You can make this chicken outdoors for a BBQ or indoors in a cast iron grill pan on the stovetop – so it doesn’t have to be just for summer! Since the chicken is covered while it grills, you can simply put a lid on the skillet while cooking and get the same wonderfully charred, crisp result as you would on an outdoor grill. 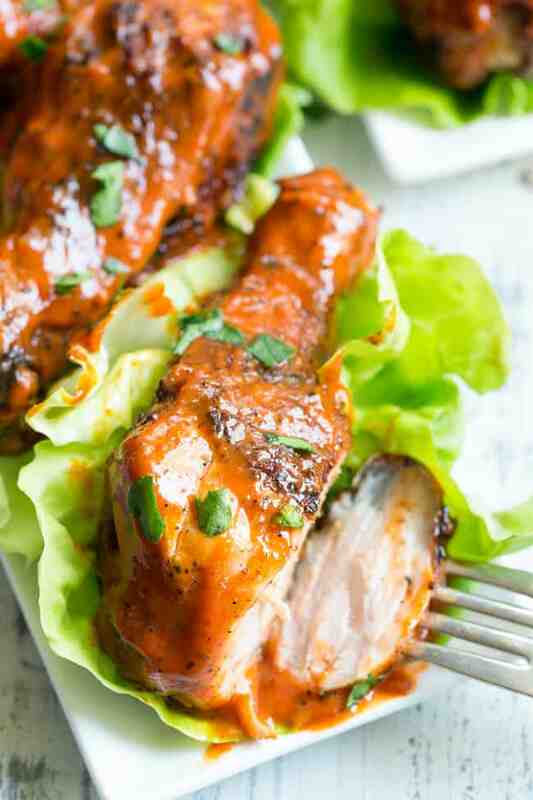 The sauce is a force all its own – sort of an amazingly tasty combo of buffalo sauce and BBQ sauce – and Whole30 compliant of course! I used dates to sweeten it just a bit and added hot sauce, tomato sauce, raw apple cider vinegar, a bit of olive oil, and other spices for flavor. The result was almost too good to share – I mean to be honest – I almost didn’t! 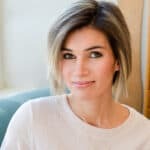 But, since I had to get the family’s opinion, I did wind up sharing and happily I was not alone in my obsession – my oldest daughter Diana said it’s the best chicken I’ve made yet! 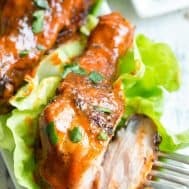 Since the sauce is spicy, it’s probably not for the really little ones or super picky eaters, but that’s no problem at all – just leave out a drumstick or two for the spice-free crowd and toss the rest of the chicken in the sauce for the pro-spicers. And hey, that just means more sauce for the ones who love it! The sauce is also thick enough to serve as a dip, so for those of you who are super-saucy types, we’ve got you covered! As for sides with the chicken, anything goes! Grilled veggies would be perfect (I’m setting off cravings now!) or you can simply serve with a green salad or over butter lettuce as I have pictured. 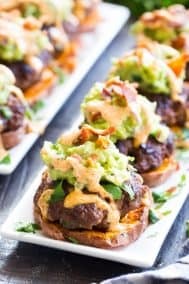 Of course, you could also go big with all of the above, PLUS my Bacon Lime Sweet Potato Salad or Whole30 Bacon Ranch Potato Salad. I think a backyard BBQ needs to happen in the extremely near future! I hope you’re ready for a new favorite – come GRILL and EAT with me! 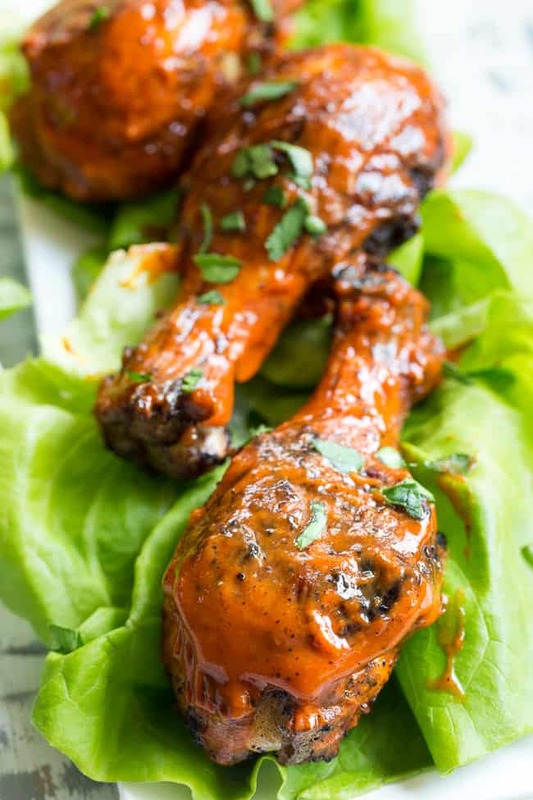 These spicy chicken drumsticks are perfectly seasoned, grilled, and tossed in a spicy, flavor-packed sauce! 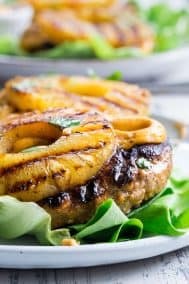 Perfect for grilling season (or anytime of year! ), family friendly, gluten-free, Paleo and Whole30 compliant. 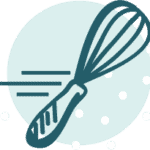 Sprinkle drumsticks all over with salt, pepper, and onion powder. Preheat grill or stovetop to medium, then brush grill or grill pan with oil. 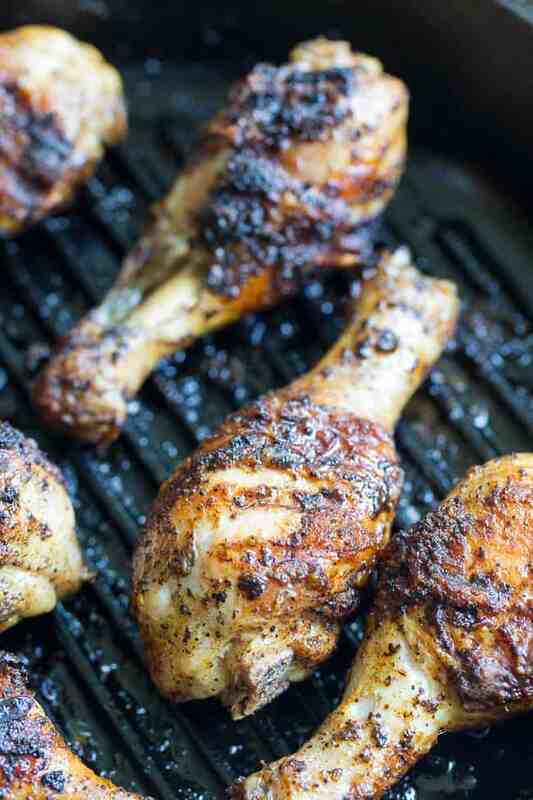 Place chicken on grill or in grill pan and cook covered for 15-20 minutes, turning several times for even browning/charring, until juices run clear. 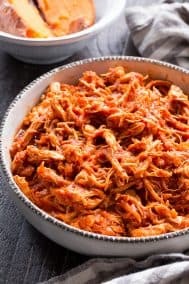 While the chicken cooks, prepare the sauce (you can also do this ahead of time) in a high speed blender or food processor, place all sauce ingredients and blend well until very smooth. This should make 2/3 cup sauce. Once chicken is done, toss with about 1/2 the sauce to coat, saving the rest to brush/drizzle on or for dipping. Store leftover sauce covered in the refrigerator for up to 4 days. Enjoy! 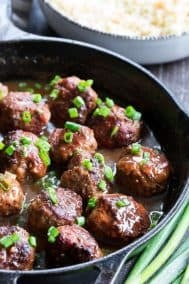 Want More Paleo and Whole30 compliant dinner recipes? Try one of these! I have been waiting for this recipe and it did not disappoint. My husband, who loves buffalo wings, asked me to keep this sauce on hand. Yet another home run! 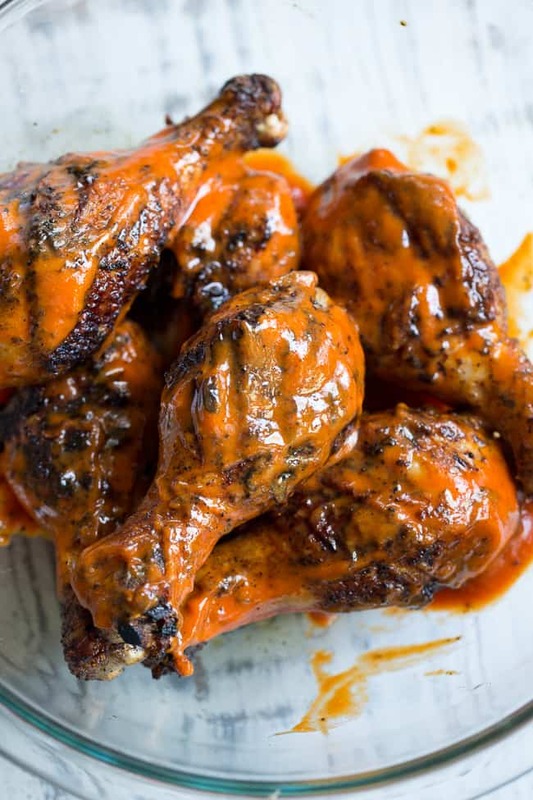 I’ve never tried making homemade drumsticks before…love that you can make these on the grill! 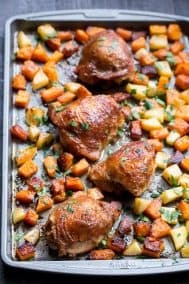 How would you suggest baking these in the oven? They look delicious and I love your recipes!! Thank you. Super easy, super fast. The sauce is amazing! 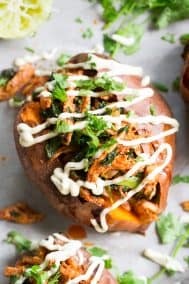 I used left overs as dip for swe35 potato wedges!! Wow… Chicken breast is my favourite food. I eat this food at my dinner time so that’s the reason for my fitness and I get full of protein from this food. But after reading your recipe I learn something new. That is how to make a proper this food. Thank you so much for share this recipe.